Complete enclosure There are 19 products. 8ft trampoline safety enclsoure with 6 posts. Complete safety enclosure for round 14ft trampoline. This pack includes the net, net posts and protective sleeves. 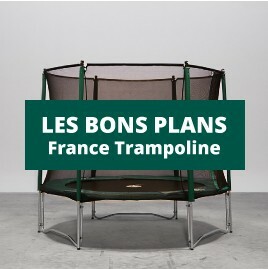 Premium lateral enclosure for the Waouuh 390 trampoline. Apollo Sport 400 enclosure for rectangular sport trampolines.